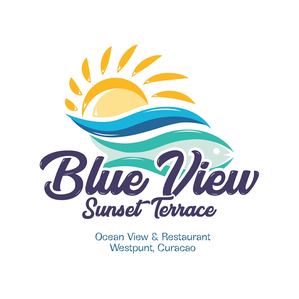 Blue View Sunset Terrace & Apartments, as well as Rancho el Sobrino can be found in Westpoint, Curacao. 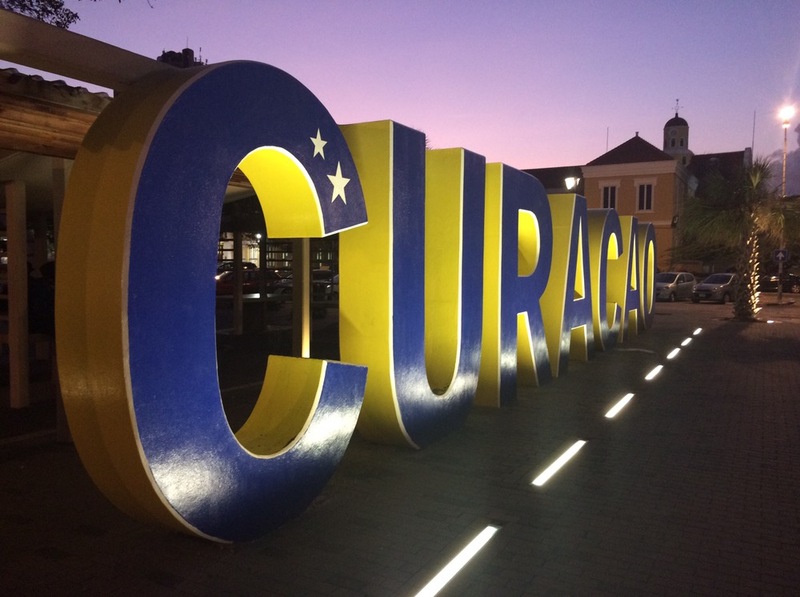 Curacao belongs to the Caribbean Island and is more than a beautiful place to visit. 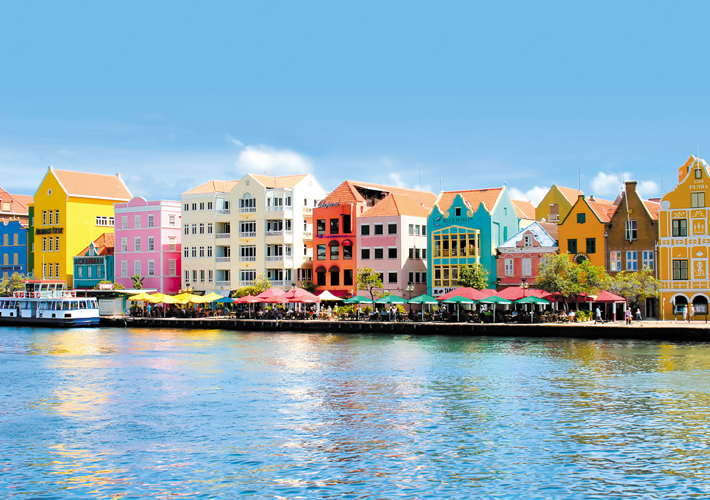 It is close to Venezuela and lays in between Aruba and Bonaire (the so called ABC-Islands). Westpoint can be found far in the West of Curacao. 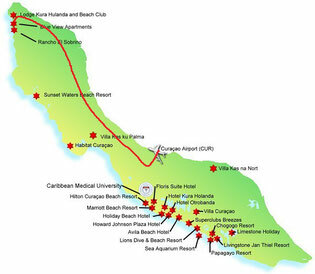 It takes about half an hour drive from the airport to the Blue View Sunset Terrace & Apartments. On the West coast are a lot of beaches with crystal-clear water. The red line on the picture shows you how to get to us from the airport. On you way you will pass green streets, and a lot of churches. When you enter Westpoint you have to drive forward until you are almost leaving. Here you will pass colorful trees and when you see blue houses on the right side of the road you reach the Blue View Sunset Terrace & Apartments. You can stop by and have a look at Playa Forti and the beautiful Caribbean Sea. From there on it is only a 1 minute drive to Rancho El Sobrino. 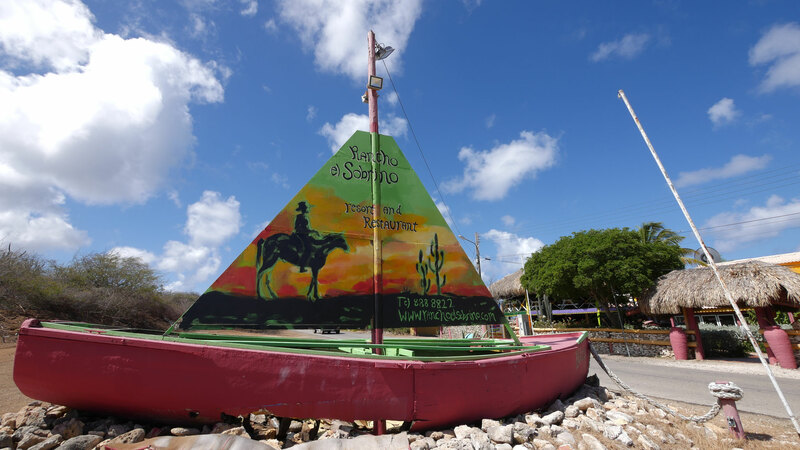 a painted boat that says "Rancho El Sobrino". You can park next to that ship and come visit us at the Reception.